In 1971, the legislature of the Commonwealth of Massachusetts implemented a plan for using a lottery as a means of generating extra revenue for its municipalities. They had no idea at the time that the Massachusetts Lottery would eventually become one of the most lucrative and successful lotteries in the United States, providing monetary resources for all of the commonwealth's 351 towns. 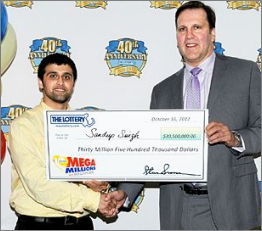 Throughout its history, the Massachusetts Lottery has taken many forms and undergone many changes in structure. It is currently operated under the supervision of a committee consisting of five elected officials, including the state treasurer, state comptroller, and secretary of public safety. After years of experimenting with structure, this arrangement has been found to work best for the Massachusetts Lottery. The game that began it all was simply called "The Game", and it awarded $50,000 to seven entrants after a drawing held on April 6, 1972. Since then, the Massachusetts lottery has introduced many other ways for people to take part in charitable gaming such as Megabucks, Mass Cash, KENO, and CASH WinFall. In a revolutionary move in 1996, the Massachusetts Lottery combined forces with five other states to create "The Big Game", a multi-state lottery. At present, ten states take part in this game. A Boston babysitter won a $197 million jackpot playing "The Big Game" in 1999, becoming the second largest winner in US history. Another woman claimed a $294 million jackpot playing the Massachusetts Lottery's "Mega Millions" game, setting yet another national record. The distribution of Massachusetts Lottery earnings is determined mostly by using a formula based on population that has been laid out by the state legislature to provide fair amounts to each town. However, the Massachusetts Lottery excludes certain things from being held subject to this formula. This includes Arts Lottery local aid, the Council on Compulsive Gambling, and the Cultural Council. Each town that receives a portion of the proceeds from the Massachusetts Lottery may do as it best sees fit with the funding. This is often allotted in majority to education and municipal improvements. In 2012 alone, the Massachusetts Lottery generated $883.7 million in direct aid to the communities it supports. In 2007 and 2008, the billion dollar mark came close to being hit in funds that directly benefitted individuals and their communities. Mega Millions: For a bet of $1.00, players select five numbers out of fifty-six, as well as choose one Megaball number out of 46 possible numbers. They can also choose to let a Massachusetts Lottery agent generate a random number from a computer to be entered into the drawing. Doubling the price of each ticket activates the Megaplier option, but your winnings will be multiplied three or even four times. Season tickets to play Mega Millions are also available. Around 50% of each ticket sale is directly entered into the game's pot. Drawings are held every Tuesday and Friday at 11:24 pm EST, and the more matching numbers a player holds, the greater the prize. The current jackpot is $70 million and rising, but even with a few correct numbers, one could win a small monetary prize. Power Ball: This game is a newer addition to the Massachusetts Lottery, having been introduced in only January 2010. It is a multi-state game, bringing large numbers of bets from a broader population of players. The jackpots frequently reach amounts in excess of $100 million and have risen as high as $400 million in the past. Beginning in 2012, the game was redesigned to begin higher and increase more quickly. Players select five numbers out of fifty-nine and one Power Ball number out of thirty-five. The Power Play option available at time of ticket purchase adds $1 per wager made to multiply winning. Saturdays and Wednesdays are drawing days for this game, and the results air at 11:20 pm EST. Winners will be awarded different amounts increasing in size with the number of correct numbers on the ticket. Mega Bucks Doubler: Another airing its drawing at 11:20 pm EST on Wednesdays and Saturdays, this game involves picking a total of six numbers out of forty-nine. This game has better odds of winning, so the jackpot is smaller. However, it pays out more often. Its highest recorded jackpot was almost $22 million. Season tickets are available at request. 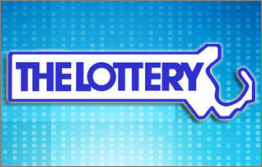 You can contact a Massachusetts Lottery sales representative for more information. Lucky for Life: This game is a regional lottery which encompasses the New England states. By picking five numbers out of forty and one Lucky Ball number out of twenty-one, players have a chance at winning the grand prize of $1000 a day for life, defined as a guaranteed minimum of twenty years. There are also other potential winnings in amounts as high as a one-time payout of $25,000. Drawings are Mondays and Thursdays at 10:38 pm EST. The Numbers Game: This game has been a part of the Massachusetts Lottery repertoire longer than any other game still in play. It was introduced in 1976. Today, players pick their numbers, the amount of their bet, time of drawing, and a number of drawings. Drawings are held twice a day at 12:55 pm EST and at 7:57 pm EST. The prize is a pool of 63% of the total bets placed and is based on a $1.00 bet. Mass Cash: Mass Cash was started up by the Massachusetts Lottery in 1991. For this game, players pick five numbers out of thirty-five. The prize is $10 for three correct numbers, $250 for four correct, and the jackpot is $100,000. Drawings are held once daily at 11:20 pm EST. Instant Games: The Massachusetts Lottery offers a broad variety of instant-win games such as scratch-offs. See the individual playing cards for specific rules and odds for each game. MALOTTERYX.COM provides comprehensive coverage of Massachusetts lottery including latest drawing results, past winning numbers, lottery news, payout information, jackpot analysis and a series of lottery number analysis tools, combination generation tools, including Intelligent Combos, Power Picks, Win Checker, Lotto Wheels, Overdue Chart, Frequency Chart, etc. 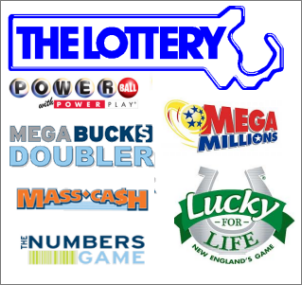 These tools provide Massachusetts lottery players the edge to win!